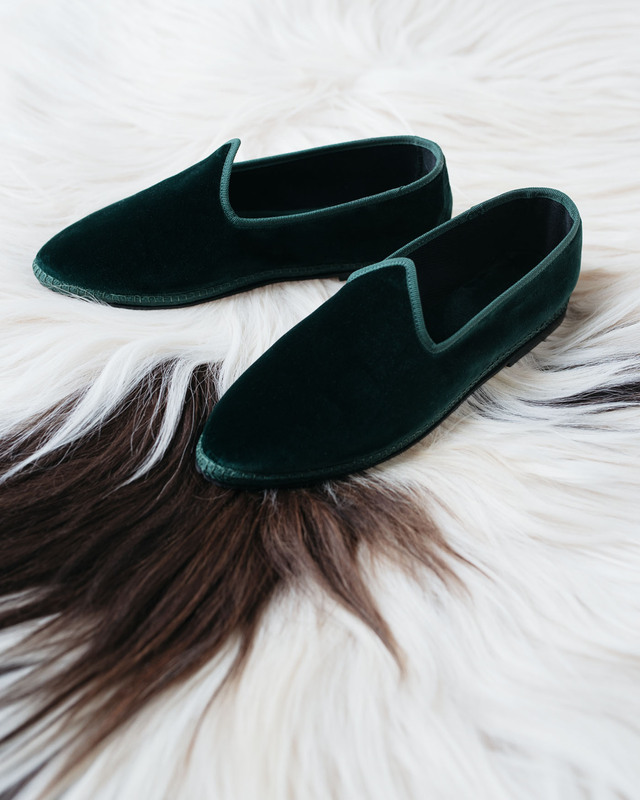 My ‘Wilde’ slippers in dark green velvet. Wandering around Palazzetto Pisani in Venice, January 2018. Meet le furlane, the gondolier slippers I bought in Venice. 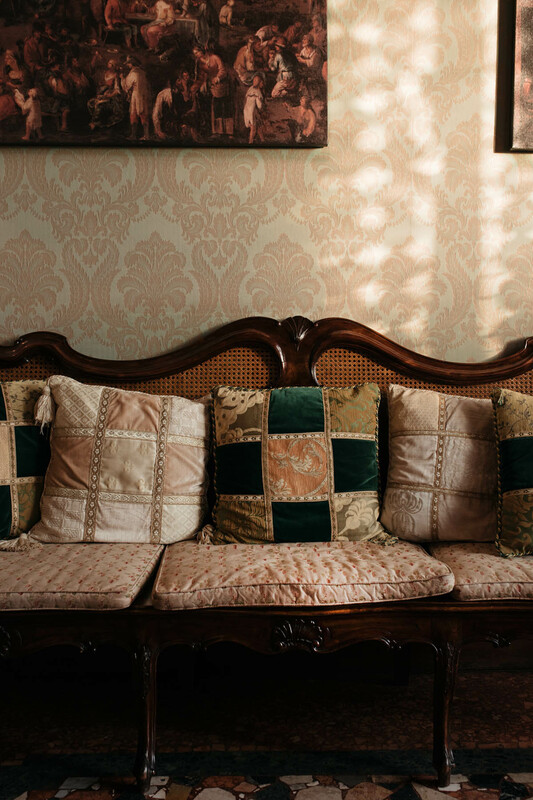 The style originates in Northern Italy at the end of the Second World War. With lack of resources, nothing was wasted, and Friulian women began crafting shoes by hand using old bicycle tires to waterproof the sole, recycled jute bags for insoles, and old clothes for the upper. The slippers were the economical shoe of the time, first to be worn by local peasants and later on taken to Venice, where the gondoliers were the first the adapt the style. Along with affordable price, the soft, non-slippery rubber sole was perfect for their work on the gondola. Today, the slippers come in a variety of styles and materials but they are still produced in Friuli by few local families using traditional methods. Each pair is sewn by hand and the outsole is made of repurposed rubber from bicycle tires. The style that I liked most and that fit my feet perfectly is called Wilde, now how could you resist Oscar’s wit. I left the store with two pairs: one in gorgeous dark green velvet and the other one in black. You can also bring your own fabric and have a customized pair made for you.